Charlotte REIA Members Can Attend for NO CHARGE. When it comes to making money as a real estate investor, nothing is more important than the ability to generate high-quality seller leads. After all, if you have no buyers and sellers to talk to, your skills as a savvy real estate investor never even come into play. If you are going to be a successful investor, you must be a successful marketer! The good news is, generating motivated buyer and seller leads is pretty easy with a little time, effort, creativity and a reasonable monthly marketing budget. I have heard many people say that generating leads for creative real estate investing is a numbers game. That may be very true, but there are definitely things that you can do to make those numbers work in your favor and greatly improve your odds with less money spent in the process. YOU ARE OUT OF BUSINESS! At this special one-of-a-kind Event, I will show you proven, effective, affordable methods you can use for little to no cost to generate waves of valuable leads to achieve your financial goals. If you want to learn how to grow your business exponentially,without the head and heart aches that could come along with it, please RSVP for Charlotte REIA's Main Monthly Meeting,and join us on Thursday, February 1st at 6:30PM at Raintree Country Club located at 8600 Raintree Ln in Charlotte NC! As always, Charlotte REIA Members can attend the event at no charge and Non-Members can Register Online for $15 or pay $20 at the door. Be sure to bring your business cards with you and join us for an evening of real estate deals, vendors, networking, education and fun! See you there! After the conclusion of the Charlotte REIA Meeting, we will be reconvening at Chili's Grill & Bar in the Arboretum located at 8136 Providence Rd. in Charlotte, NC for Late Nite Networking. Food and drink specials for our members and guests. Come eat, drink, network and have fun with us as we hang out late into the night! See Charlotte REIA Events Calendar for More Events! NOTICE DATE & LOCATION CHANGE! Everyone Welcome to Attend at No Charge! Join us for our first meeting event of 2018 at a new location and a new date, with an exciting message. Our special guest speaker will be Linda Dana, and she will be sharing one of her best kept secrets of her success, Outsourcing. Outsourcing is when you contract specific business functions to an outside third party. It is vital because it allows you to focus on the tasks that require your highest and best skills and leaves the minutia of regular and daily basic business operations to others. In essence, you are able to have others (for very low $$) do things that are not the highest and best use of your time. Now, what does Linda have Outsourced you may be asking. 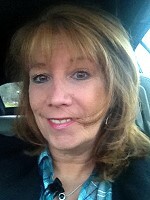 Linda will share the TOP 8 things she has outsourced, but the trick is, you have to be at City Tavern located at 501 Crossroads Plaza, Ft. Mill, SC at 6:30PM on Tues. January 30th, to find out what they are. SIN is hosted by Jeffrey Richman. 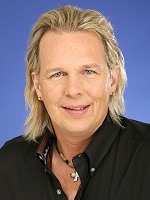 Jeffrey has been in the world of real estate investing since 1994. Starting with the buying and rehabbing of properties, he quickly moved into other areas of property investing. His specialty is Subject To and Virtual Wholesaling. He does Wholesaling and Subject To anywhere in the country as long as the numbers work. 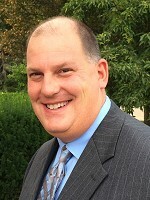 To date, he has done well over 200 transactions, which include wholesaling, assignment of contracts, Subject To (the art of buying property with little or no money), Lease / Options or Rent-To-Own (depending on the price point of the property), owner financing, pre-foreclosure, and foreclosures, short sales and more. You may or may not have heard about tax sales before, and if you have, you probably heard all the wrong things. Tom DiAgostino will set the record straight for you all on Wednesday, January 24th at 7:00PM at the Beginning Investors Group Online. Tom will be teaching us "How to Buy Property for as Little as 10 Cents on the Dollar with Tax Sales", a real estate niche that most investors know nothing about. Tom has been investing for over two decades now and has done it all. Tom's training will change your financial life forever. Tom and his team are not just trainers. They are also your investment partners. Come watch, listen and learn how to build a foundation of wealth for generations. Start Your New Year Targeting Vacant, Distressed, Abandoned Properties! Our first meeting event for 2018, Charlotte REIA presents Reggie Brooks, AKA Mr. Abandoned Houses. Reggie is going to show you the steps he took to go from making $3,000 a month at the telephone company to over $42,000 per month in his real estate investing business. He did it by doing exactly what he will be teaching you this week, with Vacant, Distressed, Abandoned Properties! Whether it's quick cash that you need right now, or long term wealth you are looking to build, it can be done fairly quickly. This is an event that you certainly DO NOT want to MISS! Then, Reggie will be returning on Saturday, January 6th for his Vacant, Distressed Property Opportunities Workshop and show you how to buy properties for pennies on the dollar! Do not miss this great learning opportunity! Reggie is a dynamic speaker and educator. Come prepared to take lots of notes. You don’t want to miss out on golden nuggets like very creative ways to find motivated owners of vacant properties, or the various case studies of people who have used Reggie’s system to make big profits buying and selling these unwanted properties. RSVP NOW and join us! If you want to learn how to grow your business exponentially,without the head and heart aches that could come along with it, please RSVP for Charlotte REIA's Main Monthly Meeting,and join us on Thursday, January 4th at 6:30PM at Raintree Country Club located at 8600 Raintree Ln in Charlotte NC! Take Advantage of 2-for-1 Early Registration! Register Now & Save Big Time! Join Reggie Brooks on Saturday, January 6th from 9:00 AM to 5:00 PM (Registration starts at 8:30 AM) at Hilton Garden Inn Charlotte North, 9315 Statesville Rd, Charlotte, NC, where he will show you how you can make $30,000 cash in the next 60 days. While you’ve been keeping your nose to the grindstone, paying taxes and worrying about keeping up with inflation... silently all across America, shrewd real estate investors are cleaning up. But, right here and right now, things are going to change. When You Foreclose, The Loans Get Wiped Out! The truth is it’s very easy and simple to make millions... IF you just have and use the know-how. Right now, right here in your area, there are undervalued properties ready to be scooped up for pennies on the dollar. This is the time to buy these deeply discounted properties and make “a killing” down the road. The money is there for the taking. Mark you calendar right now for January 6th! Reggie’s going to teach you the steps he took to become a multi-millionaire. And he did it doing exactly what he will be teaching you! We are going to PROVE IT to you live at this full day Vacant & Abandoned Properties Workshop on Saturday, January 6th from 9AM to 5PM. Register Now and join us to discover Reggie's secrets that he will be to sharing with you. These are the strategies that he has perfected throughout his own Real Estate Investing ventures and he will show you step-by-step how YOU can implement them into your business today. Register Now! Merry Christmas, Happy Holidays & Happy New Year from Charlotte REIA! All of us at the Charlotte Real Estate Investors Alliance want to THANK YOU for being a part of our family and want to wish you and yours a very Merry Christmas, Happy Holidays and a Very Happy, Healthy and Wealthy New Year! We look forward to having another great year with you in 2018 and wish you continued success! You may find yourself wanting to purchase a house for investment purposes. If you follow a traditional method, which is, call a realtor, prepare your cred score, come up with 20% down, and have a bank finance the rest, you will likely find yourself out of money quickly, and it will be years before you could purchase another house to add to your portfolio. What if there were a way, or several, that could bypass the steps written above, and put you on a faster track of purchasing more houses? Does this seem like something you would be interested in? Do you know what to do or how to get started? If you want to know what the answer is, please RSVP and join us at the Charlotte REIA Main Monthly Meeting, on Thursday, December 7th at 6:30PM. Charlotte REIA is presenting J. 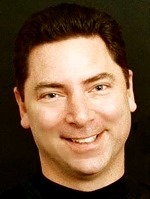 (James) Parker, Charlotte's own Professional Investor. J. has 20+ years of real estate experience. His chosen topics of discussion are thought provoking and engaging. 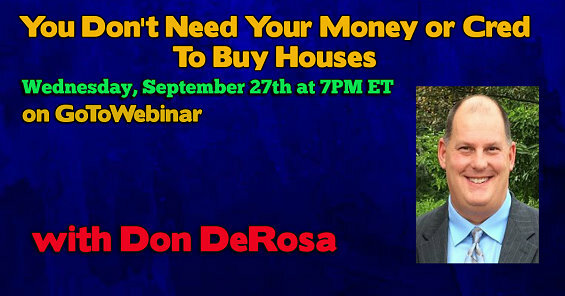 He will be sharing his 4 ways on how and WHY, he buys real estate. J. Parker is a Professional, Active &amp Mastermind Investor. 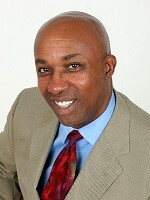 He has taught homeowners, investors, realtors and attorneys on various real estate transactions. J. Parker's clients and students that have followed his methods and practice will share how he has positively impacted their lives. If you want to learn how to grow your business exponentially,without the head and heart aches that could come along with it, please RSVP for Charlotte REIA's Main Monthly Meeting,and join us on Thursday, December 7th at 6:30PM at Raintree Country Club located at 8600 Raintree Ln in Charlotte NC! Savvy Investor Networking (SIN) is a brand new Charlotte REIA Networking and Educational Subgroup that meets on Monday, November 27th from 6:30PM to 9:30PM at Tilted Kilt located at 13230 Carowinds Blvd, Charlotte, NC. This month's SIN Event features Frank Aquilone. Frank will be showing you the many different things you need to watch for in a contractor. Frank has been in the business of building homes since 2002. He can do anything related to a house from minor handyman work to fixing and renovating an entire house. Everyone Welcome! Attend SIN Meeting at No Charge! Savvy Investor Networking (SIN) is a brand new Charlotte REIA Networking and Educational Subgroup that meets on Monday, October 30th (Last Monday's') from 6:30PM to 9:30PM at Beef O'Brady's located at 940 Market St in Fort Mill, SC right off of I-77's Exit 85. The entire purpose of Savvy Investor Networking is to bring the Charlotte area's real estate investors together in a fun, festive environment where we can network, discuss real estate opportunities, share resources, brainstorm ideas, ask questions, get answers and figure out additional ways to support one another, our community and all make more money. This month, SIN Charlotte will have as our guest speaker, Chuck Phillips of CRS Data. Property Information is probably one of the most Important Pieces of information an investor can use. You need a program that can be used to find Who Owns the Property, Are they an Owner or Renter, Past Sales History, Taxes, Mortgage History, Building Characteristics, and the ability to develop the Market Value or ARV. From this based on the cost you can then develop your Exit Strategy – Buy to Flip or Buy to Hold. Yes, Public records generally are available from most courthouses. There you can find out who owns a home based on the address, past sales, taxes, and building characteristics that are found on the Tax Card the assessor uses to assess taxes. However, Mortgage History and Comparable Sales are not available. For this you need a program that can take past sales and calculate using algorithms to calculate a MV or ARV. CRS Data can help better your investing finding an MV or ARV. What To Do If There Isn't A "Good" Comp? Why A Comp Service May Be The Right Decision To Make? Everyone Welcome! Attend SIN/Charlotte Meeting at No Charge! "What is Virtual Wholesaling"? It is when you buy and sell properties at wholesale prices, often sight unseen, from long-distances using computers, tablets, smart phones, online references along with local help when you can get it. The big advantage of Virtual Wholesaling is that the investor can spread their efforts across multiple markets, which can maximize their potential return on investment, especially if they are operating in a hot, crowded market area. Does this seem like something you would be interested in? Do you know what to do or how to get started? Whatever you answer is, please RSVP and join us at the Charlotte REIA Main Monthly Meeting, on Thursday, November 2nd at 6:30PM we will have as our special guest speaker, Jeffrey Richman, from Rock Hill, who will show you the in's and out's of Virtual Wholesaling! If you want to learn how to grow your business exponentially,without the head and heart aches that could come along with it, please RSVP for Charlotte REIA's Main Monthly Meeting,and join us on Thursday, November 2nd at 6:30PM at Raintree Country Club located at 8600 Raintree Ln in Charlotte NC! After the conclusion of the Charlotte REIA Meeting, we will be reconvening at Chili's Grill & Bar in the Arboretum located at 8136 Providence Rd. in Charlotte, NC for Late Nite Networking. Food and drink specials for our members and guests. Come eat, drink, network and have fun with us as hang out late into the night! You may ask, "What is Virtual Wholesaling"? It is when you buy and sell properties at wholesale prices, often sight unseen, from long-distances using computers, tablets, smart phones, online references along with local help when you can get it. On Wednesday, October 25th at 7:00PM at the Beginning Investors Group Online, we will have as our special guest speaker, Jeffrey Richman, from Charlotte, North Carolina, who will show you the in's and out's of Virtual Wholesaling! The big advantage of Virtual Wholesaling is that the investor can spread their efforts across multile markets, which can maximize their potential return on investment, especially if they are operating in a hot, crowded market area. "What Strategies should I focus on?" You may ask yourself. That is the $100,000 dollar question, and there are multiple answers. It has a lot to do with the investor and the individual situation as well as the specific market locations and conditions. Real Estate Investing is about building WEALTH. At the Charlotte REIA Main Monthly Meeting, on Thursday, October 5th at 6:30PM you will be Introduced to several effective strategies that you can use to make an influx of CASH that will allow you to build a phenomenal income. This is a continuation of our September 7th event. NOTICE! We're not talking about becoming a real estate agent here. We're talking about pulling out the stops, getting creative, and making the big bucks. There are many ways to make money on properties that are beautiful and properties that are run-down. There are different strategies you would use in a buyers' market and a sellers' market, in a high-appreciation market and one on a plateau. The better you understand each strategy introduced below, the more deals you'll be able to find and the more money you will make on each deal. Which strategy should I choose & when? The right strategy depends on who you are and your business model is. Some strategies require a lot of time, more labor intensive, money, or education and experience. Some do not. Do you work with your hands? Are you technically inclined? Are you a people person? Understanding each strategy will provide you with what each strategy requires, and then you can dig down into those that seem best suited to your skills and abilities. If you want to learn how to grow your business exponentially,without the head and heart aches that could come along with it, please RSVP for Charlotte REIA's Main Monthly Meeting,and join us on Thursday, October 5th at 6:30PM at Raintree Country Club located at 8600 Raintree Ln in Charlotte NC! Have you ever watched those tv programs that show couples flipping properties for tens of thousands of dollars and wished you could do that? Do you wish that you could find something that could provide you with additional income that would make your life better? Well guess what. Real estate might be your answer and it’s easier than you think. Most people think you have to have lots of money or good cred to buy real estate. Some people even think you have to be really smart. The truth is NONE of this is true! Don’t get me wrong, having any and all of those things are helpful but definitely not needed. In fact, most of the time I prefer to teach people with none of those things because then you can’t use them as a crutch! This month on the BIGO broadcast, I will be showing you how to make money without any of your own money or cred. All you will need is your willingness to learn and your ability to apply simple techniques. I will show you how to identify a property, put it under contract and simply assign that contract to someone else for a fee. I will also show you how to buy properties where the homeowner just deeds over the property to you and you become the owner. Can you imagine buying properties where you never have to use your cred and never have to go to the bank ever again. Would you like to buy a new home to live in but can’t afford the down payment? That's no problem, I'll show you how. If you’ve ever said these words to yourself, “ I wish I could afford that...” then you need to be on this broadcast. This could be the most important session you go to your whole life. There are two types of people out there in this world. Those that “Dream” and those that “Do.” Which do you want to be? Be on this month's broadcast on Wednesday September 27th @ 7PM ET and let me change the statement from “I wish I could afford that...” to “How can I afford that?” Let me leave you with this thought. “ If you don’t build your dream, someone will hire you to build theirs”. Is that what you want? RSVP NOW! The Beginning Investors Group Online ( The “BIG O” or BIGO) is an ONLINE educational group for new investors who are just getting started in real estate investing as well as “new again” real estate investors who’ve taken a few years off and are looking to get back in the game. We will be bringing in local and national real estate experts to teach new investors how to survive and thrive in our ever changing economy and real estate market. The entire purpose of this group is to help new investors get their first deal and help new again investors get their next deal. The Beginning Investors Group Online meets on the 4th Wednesday of each month from 7:00 PM ET to 9:00 PM on GoToWebinar. The main presentation will start at 7:00 PM ET and go to approximately 8:30 to 9:00 PM. TO ATTEND ONLINE: 7:00PM Start Time. To attend the Beginning Investors Group Online via your PC, smart phone or tablet, Register Here for the Broadcast on GoToWebinar.com and you will be emailed login instructions for the event. How You Can Have The Right Strategy At The Right Time! At the Charlotte REIA Main Monthly Meeting, on Thursday, September 7th at 6:30PM you will be Introduced to several effective strategies that you can use to make an influx of CASH that will allow you to build a phenomenal income. If you want to learn how to grow your business exponentially,without the head and heart aches that could come along with it, please RSVP for Charlotte REIA's Main Monthly Meeting,and join us on Thursday, September 7th at 6:30PM at Raintree Country Club located at 8600 Raintree Ln in Charlotte NC! How You Can Make $30,000 in 30 Days with the Trifecta of Success System! Please be sure to join us at the Beginning Investors Group Online on Wednesday, August 23rd at 7:00PM ET Our special guest will be Dwan Bent-Twyford, America’s Most Sought-After Real Estate Investor, who started as a broke, single mom that had been fired from Denny’s. She now heads up “The Investors Edge University”. A company that specializes in training new and seasoned investors in a wide range of real estate investing techniques through live workshops, weekly webinars, a member site, and seminars. Dwan, having flipped over 2,000 deals herself, she is more than qualified to share her vast knowledge of real estate investing with America. 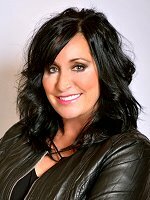 Dwan is affectionately known as the “Queen of Short Sales” and is considered to be the Nation’s #1 Expert on Short Sales & Foreclosures. She has written three best sellers, “Short Sale Pre-Foreclosure Investing”, “How to Sell a House When It’s Worth Less Than the Mortgage” and “SuccessOnomics” which she wrote with Steve Forbes. This month at this BIGO event, Dwan will share her “Make $30,000 in 30 Days with the Trifecta of Success” system. She will walk you through several step-by-step insider secrets and share how some of her students have made in excess of $50,000 on a single transaction. Make plans to attend Dwan’s presentation on Wed. August 23rd at 7PM ET– to discover the golden nuggets she plans to share. She will be joining us from Denver, Colorado to speak to our group. It is an honor and a privilege for us to have a speaker of Dwan’s caliber so please register today, let’s give her a great event full of tons of energy and make her feel welcome. Register today for the Two-Day Cash In A Flash Foreclosure Summit on Saturday & Sunday, August 5th & 6th held at the Hilton Garden Inn North 9315 Statesville Rd, Charlotte, NC being taught by Bill and Dwan Twyford – the Nation’s leading foreclosure experts. In fact, Bill and Dwan are considered the Nation’s #1 experts in Short Sales®, Foreclosures, Flipping, and Negotiating! It’s sad that so many people think you have to “get over on someone” to make a buck. At the Cash In A Flash Foreclosure Summit they will show you how to run an ethical, fair, and PROFITABLE real estate investing business that WILL make you a multimillionaire, too! As you can see this will be a knowledge packed 2 full days of excitement and education. We look forward to seeing you at this great event on Saturday and Sunday, August 5th & 6th!! Closing The Deal, Golden Nuggets Revealed! Please be sure to join us at the Beginning Investors Group Online on Wednesday, July 26th at 7:00PM ET with Bill Twyford who will be teaching our members and guests about closing deals faster, better and easier than your competitors. Bill Twyford, is also going to share how he has bought and sold over 1,000 properties, Notes, Rehabs, Short Sales, and Wholesales and how you can do it, too! This will be a little taste of Bill's and his wife Dwan's upcoming Foreclosure Summit in Charlotte on August 5th & 6th. Bill Twyford, The Real Estate Rock Star, started as a paint contractor, turned rehabber, turned flipper, turned Nationwide Real Estate Trainer. Bill considers education in today’s real estate market a priority for individuals and families as well as investors. He believes that integrity and accountability are paramount to maintaining a successful business. As author of the best-seller book, “How to Sell a House When It’s Worth Less Than the Mortgage", Bill has strived to help families in distress throughout his investing career. Bill believes that maintaining balance is important in everyone’s lives and strives to create a win/win/win situation in all of his business transactions. Bill Twyford is funny, witty, and brings his “rock star” approach to life and will make an incredible impression to you on Wednesday July 26th on BIGO! Join us at the Movers and Shakers Breakfast every Wednesday at 8:30AM at Menu's Catering & Restaurant located at 5445 77 Center Dr in Charlotte, NC, with Linda Dana and 20 or so other Real Estate Pros. People who have made the choice! This is also a great opportunity for investors to network with the local "players" and learn from those who are doing it every day. Every week we discuss various real estate topics, we review deals and so much more. Excellent Education to better your investing strategy. Movers and Shakers is a breakfast meeting for educational and networking group led by Linda Dana that is designed to meet all levels of investors, beginners and advanced investors. We are very excited to have national real estate experts Bill & Dwan Twyford, The Real Estate Rock Stars, right here in Charlotte. 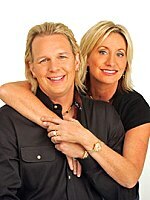 Bill who started as a paint contractor, turned rehabber, turned flipper, turned Nationwide Real Estate Trainer and his wife Dwan who started as a broke, single mom that had been fired from Denny’s. She now heads up “The Investors Edge University” - A company that specializes in training new and seasoned investors in a wide range of real estate investing techniques through live workshops, weekly webinars, a member site, and seminars. Dwan, herself, has flipped over 2,000 deals so she is more than qualified to share her vast knowledge of real estate investing with us on Thursday, August 3rd at 6:30PM at the Charlotte REIA Main Monthly Meeting. Bill and Dwan are going to share how they've bought and sold over thousands of properties, Notes, Rehabs, Short Sales, and Wholesales and how you can do it, too! This will be a little taste of Bill's and his wife Dwan's upcoming Foreclosure Summit in right here in Charlotte Saturday & Sunday, August 5th & 6th. Make plans to attend the Twyford’s presentation on Thursday, August 3rd to discover the golden nuggets of Secrets of Closing the Deal Bill and Dwan plan to share. They are flying in all the way from Denver, Colorado to be with our group. It is an honor and a privilege for us to have speakers of the Twyford's caliber so please RSVP today, let’s give them a great group, full of tons of energy, and make them feel welcome at the Charlotte REIA Main Meeting. If you want to learn how to grow your business exponentially,without the head and heart aches that could come along with it, please RSVP for Charlotte REIA's Main Monthly Meeting,and join us on Thursday, Aug 3rd at 6:30PM at Raintree Country Club located at 8600 Raintree Ln in Charlotte NC! What Should You Look for in a Closing Attorney? 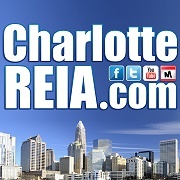 No Charge to Attend for Charlotte REIA Members. Guests are only $3 at the door. Please be sure to join us at the Charlotte REIA Rock Hill, Fort Mill, York County Sub Group on Tuesday, July 25th at 6:30PM at Towne Tavern at Fort Mill located at 2000 Hwy 160 West, Fort Mill, SC hosted by Jeffrey Richman. Please Note: Towne Tavern is on SC Hwy 160 WEST of I-77. Come join Jeffrey and the rest of the Charlotte REIA crew at the Towne Tavern of Fort Mill. This month, We have as our Special Guest, Donovan Steltzner of Steltzner Law Firm LLC. Donovan is an accomplished real estate attorney who understands investors and their needs. 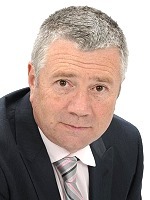 He has a wealth of knowledge involving many aspects of the real estate industry. We have a private waiting room and Meagan will be our server. The food is good, the drinks are plentiful and the company is great! If you are a member of Charlotte REIA, there is no charge to attend. Guests are only $3.00 at the door. If your going to make it to the meeting, please rsvp on meetup using the link below. We look forward to seeing you there!